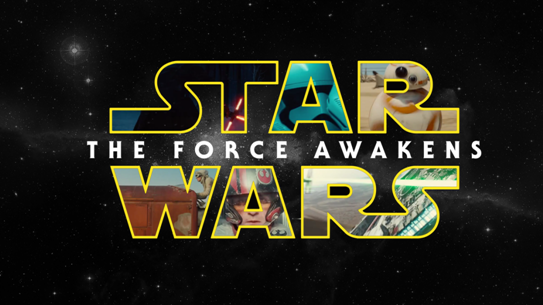 What has Star wars got to do with Applebee’s? Absolutely nothing, but now that we’ve got your attention J. Applebee’s is growing even stronger with its new location-based mobile ordering app campaign. This new marketing push entices more customers as menu items, store locator and gift cards are but a slide in one’s smartphone. The giant food-chain’s new mobile ordering app campaign is being run within The Weather Channel’s iPhone app. Mobile Ordering App is a great marketing tool. By adding a locator into the service, this effectively drives in-store traffic a whole lot faster than non-mobile ads. Accordingly, Ping Mobile’s marketing director Shuli Lowy reinforces this idea saying mobile ordering app is “no longer an option”. The executive whose office is in Beverly Hills, CA further exposes the advantages of mobile via statistics. Lowy reveals that 95 percent of people using smartphones conduct routine restaurant searches. And of those, a whopping 90 percent convert not a day after but within the day—finding time to go out and eat on the same day. The mobile market is definitely pushing marketing frontiers faster. An even more surprising number: 64 percent of those people who use the mobile ordering app convert within the hour. Lowy further emphasized the importance of mobile. She explained that if it were for a special night to celebrate, most people may take time to do thorough research. However, for a regular busy day where people are rushing in their everyday lives, the consumer will most likely give it a quick scan for a couple of local places to dine and get on with it. Lowee is not in any way connected with Applebee’s. Her expertise lies on the subject matter on hand. Worth a re-read of this article https://www.saavi.com.au/mobile-ordering-app-not-too-long-ago/ if you are not sure what we are talking about. The mobile banner used by Applebee starts with a friendly greeting: “See you tomorrow. Applebee’s.” And already it sounds like a mobile text short. From the onset when consumers tap on the mobile ad, consumers are being asked if it is OK to utilize their current location—eliciting a “Don’t Allow” or an “OK” response. From there the customer is guided to the landing page—actually the starting point of the gastronomic feast. This features the address of the nearest Applebee’s. Then, the consumer is given choices of the company’s menu items in both classic and its well-known signature dishes. Moreover, consumers may get social, giving or sharing virtual gift cards. These gifts maybe sent via email or Facebook. There is even a choice of the card amount and a way to personalize or select the special occasion. By bringing this gift-sharing into the mix, great relationships are thereby built between customers new and old—another great marketing tactic. This can only mean added customer advantage as most everyone carries a mobile device on hand. It was in 2011 that Applebee’s first introduced its Digital Gift Cards. This is an initiative that allowed consumers to purchase and give personalized gift cards via Facebook, mobile or online. Lowy cites the need for restaurants to have the right “targeting parameters” to maximize their mobile order app. She expounds that these should include geographical targeting and timing factors. By design Lowy concludes that Applebee’s mobile ordering app marketing campaign has been able to fuse these targeting parameters successfully. 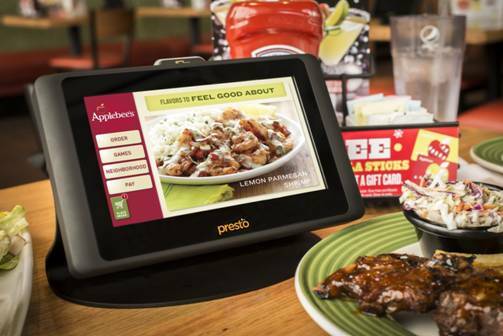 Colorful food menu options are perfect; added with additional mobile coupons thrown in, there’s no wonder why customers find dining at Applebee’s so enticing. Phil Talbot is founder of SAAVI, the mobile ordering specialists and the resident expert in the mobile ordering app. You can follow SAAVI on Facebook.